With construction of its new office tower well underway, Richmond’s resident utility giant is beginning to cue up a potential sister structure next door. Dominion Energy last month submitted plans to the city for a 17-story, 911,000-square-foot building to rise on the site of its existing 21-story One James River Plaza building at 701 E. Cary St.
Dominion Energy spokeswoman Daisy Pridgen said in an email that the plan of development for the second tower helps to ready the property for potential construction should the company decide to go through with the project. That could be decided early next year. 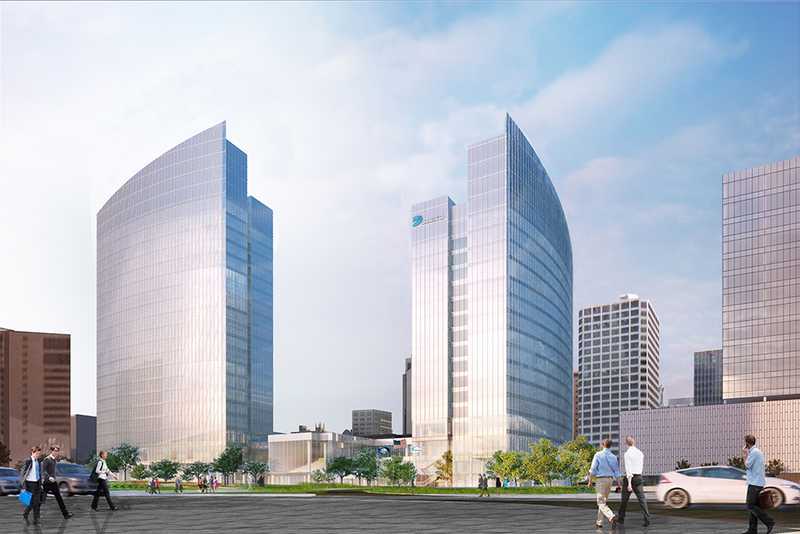 The second tower would join the 20-story 600 Canal Place building, a 417-foot Dominion Energy tower that cranes and construction crews are erecting at 600 E. Canal St., where the Richmond Plaza building once stood.